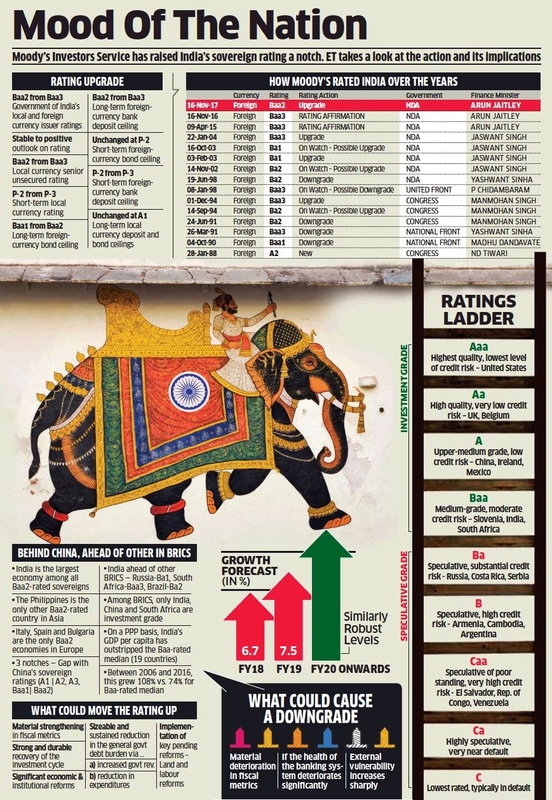 A surprising ratings upgrade by global major Moody’s led to sharp rallies in stocks, bonds and the Indian rupee, with investors across the board turning bullish on the country’s growth story and economic prospects. A segment of the market, however, is still cautious and believes the current upswing may not sustain for long. The sensex started the session almost at the day’s high, rallied over 400 points to an intra-day high at 33,521. But, due to weekend profit-taking, it closed 236 points higher at 33,343. 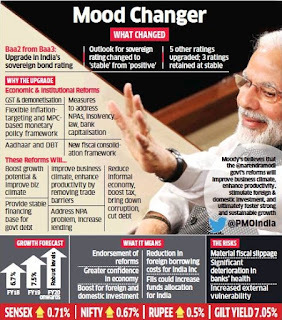 Market players interpreted Moody’s decision as an approval by the ratings major’s for the Narendra Modi-led government’s reforms-oriented initiatives, which would put the country back on a strong economic growth path. The day’s rally added about Rs.1.7 lakh crore to investors’ wealth with the BSE’s market capitalisation now just a tad above the Rs.150-lakh-crore mark. 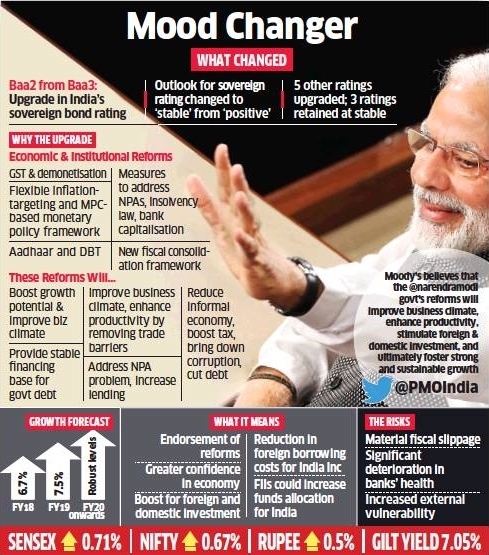 Sebi chairman Ajay Tyagi said that the decision by Moody’s was an acknowledgement of the government’s initiatives in introducing a number of economic reforms initiatives. 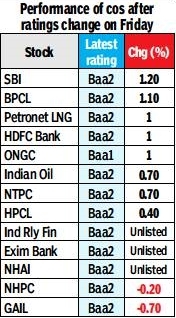 Banks and financial services’ stocks led the rally with HDFC, HDFC Bank and ICICI Bank contributing the most to sensex’s gains. 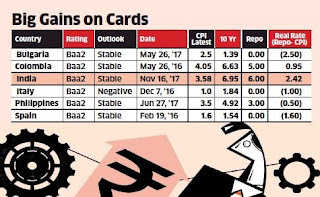 On the other hand, since the ratings upgrade is expected to strengthen the rupee — a negative for export-oriented sectors — investors sold stocks of IT and pharma companies. 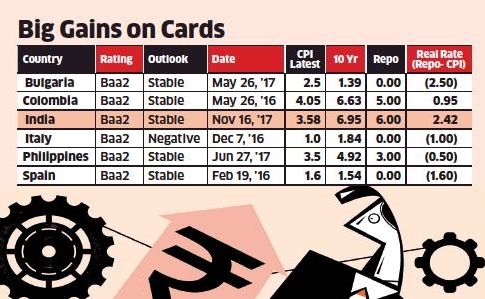 A section of the market believes that the Moody’s action has helped changed the mood on Dalal Street, but its impact would not last long.